The Center for the Elimination of Disproportionality and Disparities was created by Senate Bill 501 in 2011 to help address disproportionality and disparities in Texas health and human services. 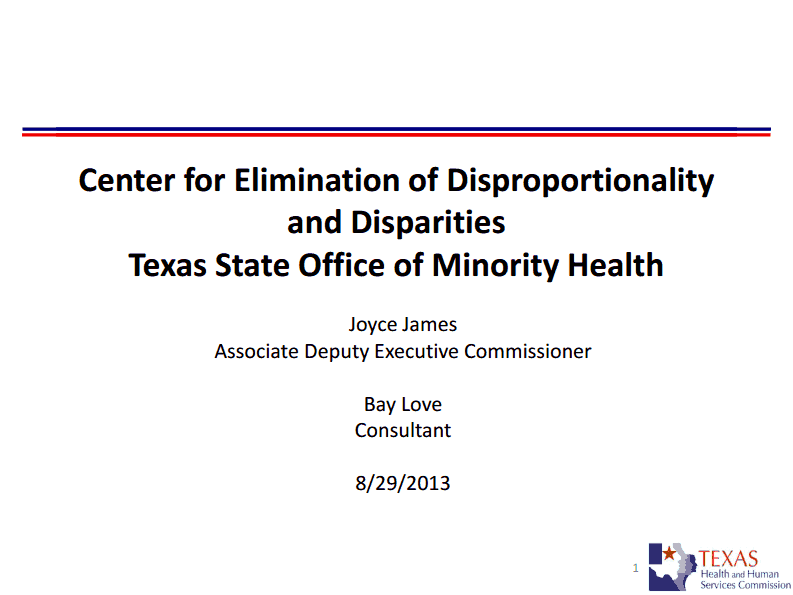 Senate Bill 501 established the center as the Texas State Office of Minority Health to assume a leadership role in working with state and federal agencies, universities, private groups, communities, foundations, and offices of minority health to decrease or eliminate health and health access disparities among racial, multicultural, disadvantaged, ethnic, and regional populations. This slideshow was created for the Center to help tell the story of what is happening to children across Health and Human Services Systems. Check out the Center to learn more about resources they have to offer.